Posted on November 14, 2018 at 1:20 am. Regular maintenance for your HVAC system this fall plays a critical role regarding dependability and efficiency. However, it is frequently neglected by many residential owners, particularly if their heating systems are functioning well or their units are still new. Take note that not every passing day is a lucky day for you and your HVAC system. So, before you get into serious trouble and pay for the consequences, get your maintenance plan as early as now. With the high price of HVAC systems, no one wants to buy it and just use it for a couple of years, unless you have a convenient maintenance plan that could extend its life. It is very helpful because even the smallest issues (which later might cause major trouble in your unit) are given attention. A maintenance plan can consistently provide professional care for your unit and make it last from fifteen to twenty years. The efficiency level of your unit can impact both your comfort and savings. 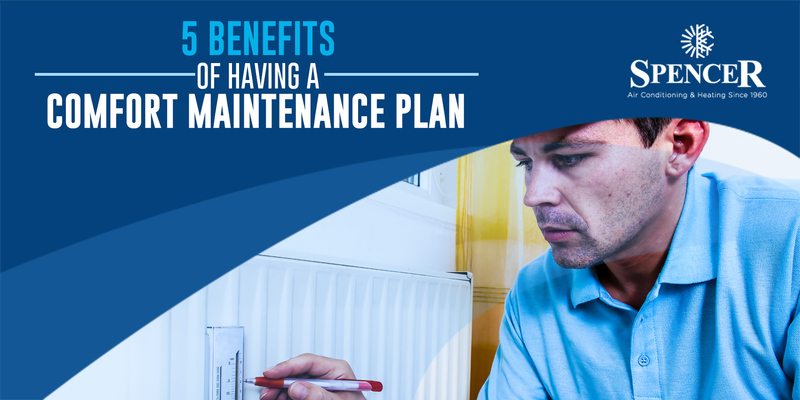 A maintenance plan can help optimize efficiency, ensure that you get even indoor temperature, and guarantee that you only pay for the heated air you used at home. Regular maintenance helps you spot early signs of problems, allowing you to avoid costly part replacements and shocking system breakdown. Your technician inspects and monitors the system and its parts regardless of its condition. Also, he makes sure that they are all running in top condition. Comfort maintenance plans ideally come with priority treatment in case of emergency repairs. Thus, you will receive the service you deserve right away. This means you do not need to wait several days for the service to come. Also, if you forget the date of the service, your HVAC company will give a scheduled service reminder to notify you about the service date. A maintenance plan can save you a lot of cash! When compared to an individual service call, a maintenance plan is much cheaper because of discounts on parts and labor. Also, there are offered free services on selected parts as part of the service agreement. What are you waiting for? Take action now and sign up for a residential maintenance plan! Make hay while the sun shines and get all problems fixed before it is too late. Here at Spencer Air Conditioning & Heating, we offer a comfort maintenance plan for your residential home with lots of exciting deals. Avail now and enjoy warranties, freebies, discounts, and expert assessment. Call us to get started!